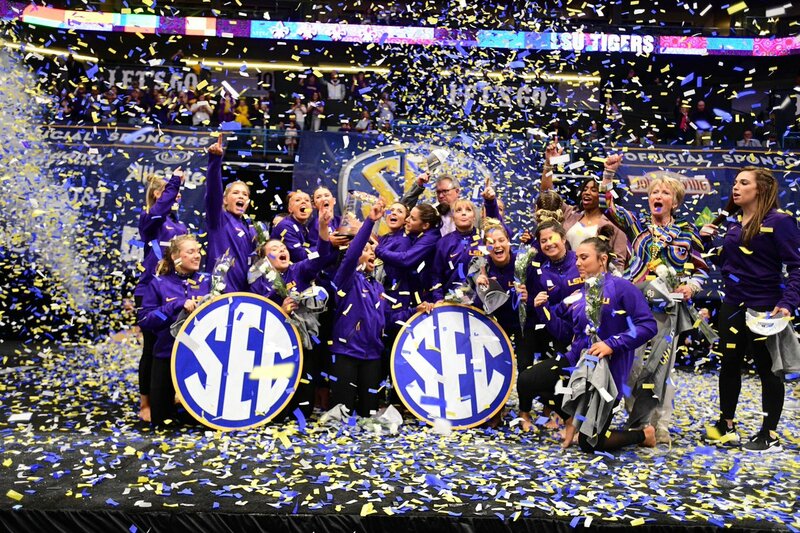 Finnegan won her second-straight SEC all-around title with a 39.800, the second-highest in the meet’s history. The Lee’s Summit, Missouri, native became the fourth gymnast in SEC history to win two all-around titles. With the win, Finnegan earned her 12th all-around title of the season and passed Susan Jackson for the most in a season in school history.